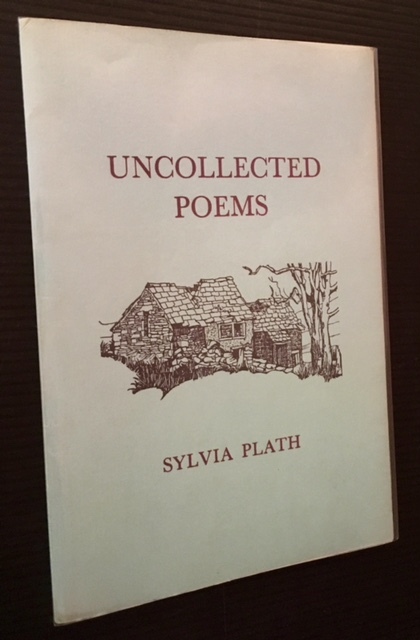 The following is a guest blog post by Annika J. Lindskog from Sweden on her recent visit to Sylvia Plath's grave in Heptontsall. Thank you, Annika! 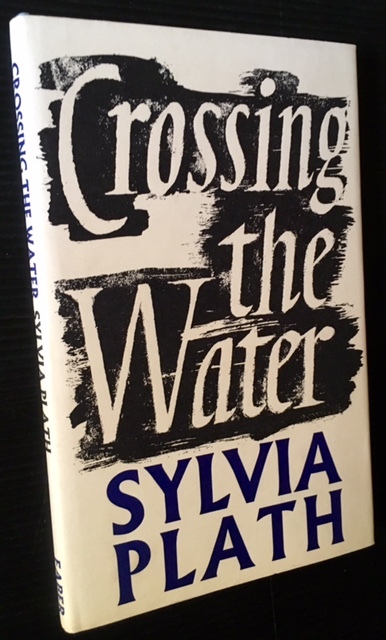 In June this year, I finally had the opportunity to visit a place I had long wished to see: Sylvia Plath's grave at Heptonstall in Yorkshire. 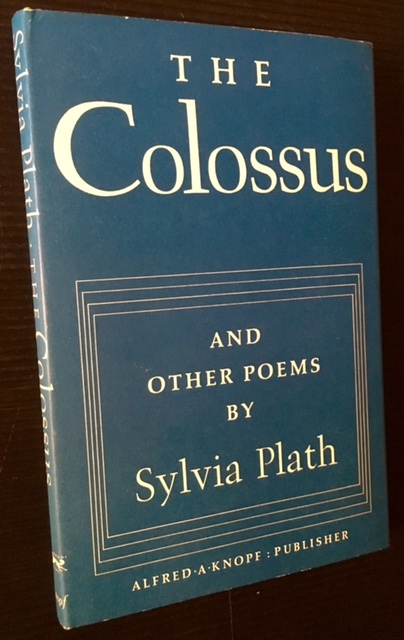 Like many other Plathians, I hold a strange fascination for places associated with Plath and have previously visited many of the 'sites', both in the UK and the US (including a lovely and much appreciated tour around the Boston area with Peter in 2008). For someone who doesn't live in the UK, Heptonstall is a bit 'off', though, which is probably why it's taken me so long to get there. Once in Yorkshire, getting to Heptonstall was easy. 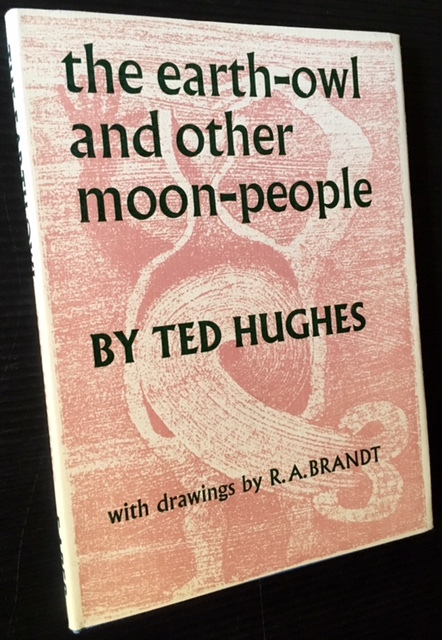 We were staying in Leeds for a couple of days – where I was supposed to be attending a conference about Virginia Woolf but mostly played hooky, because, well, Plath! Brontë! – and from there, we took the train to Hebden Bridge where we changed to a small bus, which drove us up the hill. On a poster, Hebden Bridge described itself as a place where you could 'soak up the cosmopolitan atmosphere and be part of [a] trendy café society'. Tempting as that sounded – especially for someone as obsessed with coffee as I am – we didn't look around except what we saw from the bus. It was very picturesque and the train station looked like it belonged in a costume drama set in the early twentieth century (the current station house was apparently built in the 1890s). The village itself felt exclusive, with lots of jewelry shops and other expensive-looking locations (my husband thought it had more of a new-age vibe – maybe we were looking out on opposite sides of the bus). Heptonstall was very close to Hebden Bridge – about ten minutes on the small bus. It was situated on a hill and some of its streets were quite steep. Heptonstall, too, was very picturesque but not as touristy. There was no problem finding the churches – there are two, but one is in ruins. The 'new' one is from the middle of the nineteenth century. Plath's grave, likewise, is in the 'new' graveyard: an extension to the earlier graveyard, which, I suppose, filled up at some point. Finding the actual grave took some time and resulted in two pairs of wet shoes – the grass was high and the whole cemetery somewhat overgrown. The grave itself was beautiful, though, and I kind of liked that we really had to look for it. It had more flowers growing on it than the other graves - mostly blue and pink flowers. The blue flowers, especially, caught my eye. They were intensely blue – the picture doesn't do them justice – and somehow fit so perfectly with the epitaph that Hughes chose for the stone: 'Even midst fierce flames the golden lotus can be planted'. I'm not quite sure what I expected from this visit. Standing at Plath's grave, I didn't feel much, except perhaps a sense of sadness and waste that she died so young. It felt a bit odd that a young American woman would end up in a churchyard on a hill in the middle of Yorkshire. At the same time, Heptonstall and the surrounding landscape – the moors – were striking in their raw beauty – an extreme kind of beauty that felt very fitting to Plath. After returning with the mini-bus to Hebden Bridge, we took another bus that drove over the moors towards Haworth and that way we got to see more of the stunning landscape, which is what I'll remember most from this visit. 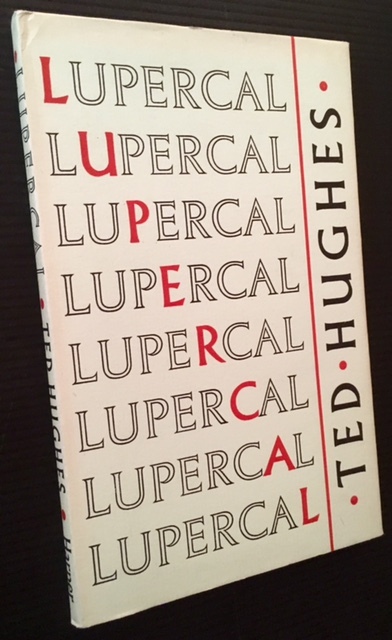 'The horizons ring me like faggots,/ Tilted and disparate, and always unstable'. Yes, indeed. 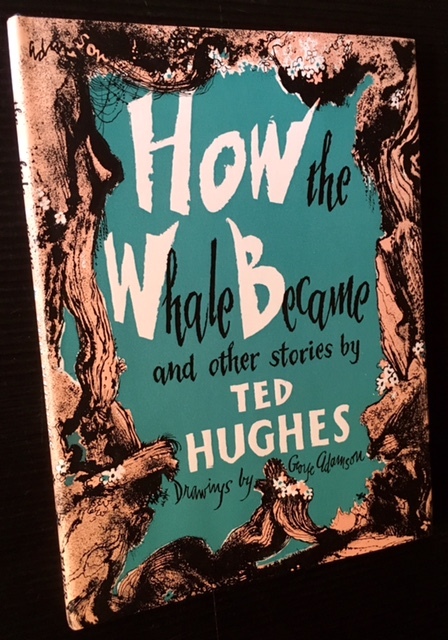 The ABAA accredited Appledore Books of New York recently list a slew of mighty appealing Sylvia Plath and Ted Hughes books on their website. 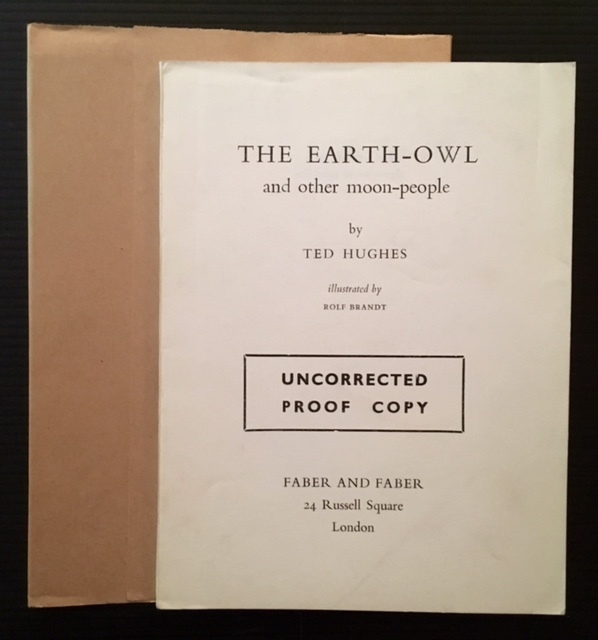 Enamored as I am with first editions, rare books and the like, I wanted to write about them as it has been a while since Plath books for sale have been mentioned on the blog. 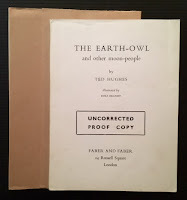 I wrote to Appledore asking if there was any significant provenance to these books as they all seemed to be in similar condition. Bryan wrote back saying that they were acquired via auction. This being the case, it is very difficult to determine from where they came. However, given the condition they all appear to have been well cared for and intentionally collected. 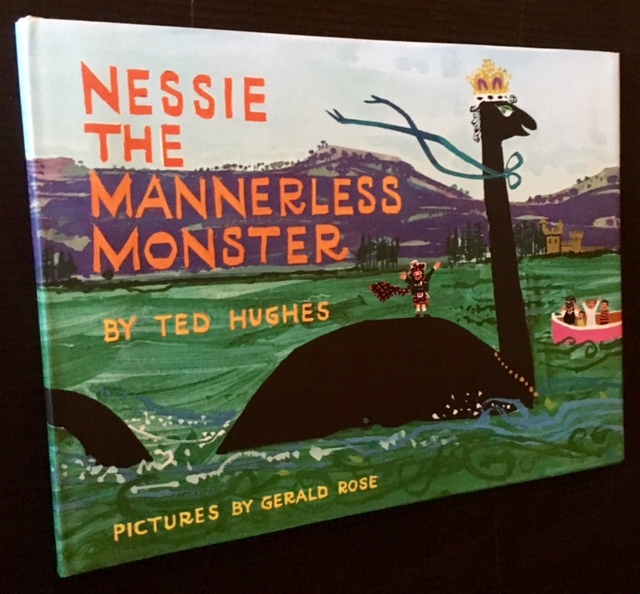 If you have ever thought about starting a book collection (and remember, the holiday's are coming), these book would an excellent place to start. Appledore is an ABAA bookseller which means they are professional, legit, and you should frankly want to give your money to them. 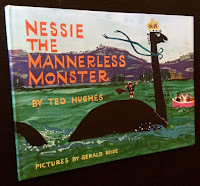 Collecting books is an absolute joy, and Appledore books can help to make you happy. All links accessed 1 September 2016. 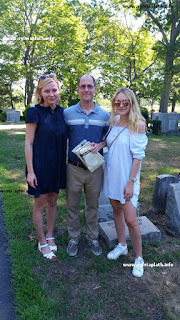 On 18 August, I was fortunate to give a tour of some Sylvia Plath sites to four women involved in the current The Bell Jar film adaptation: Kirsten Dunst (director), Dakota Fanning (lead actress), Lizzie Friedman (Producer, Priority Pictures), and Brittany Kahan (Producer, Echo Lake Entertainment). To my surprise, I was not nearly as nervous as I thought I would be. In part because I know the sites like the back of my hand, and also because all four were very relaxed and engaging and put me instantly at ease. 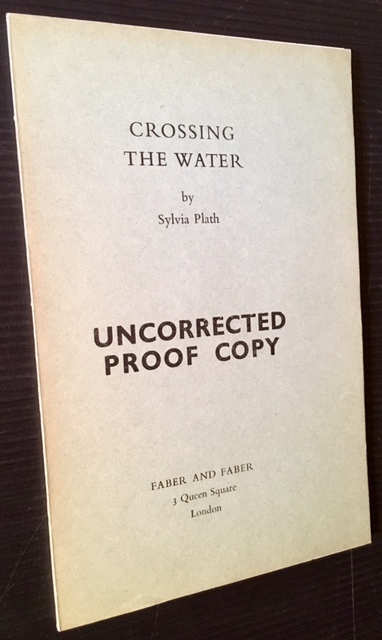 We started in Winthrop where we saw Plath's house at 92 Johnson Avenue before carrying on to Deer Island and Point Shirley were we experienced Plath's writings in living color. 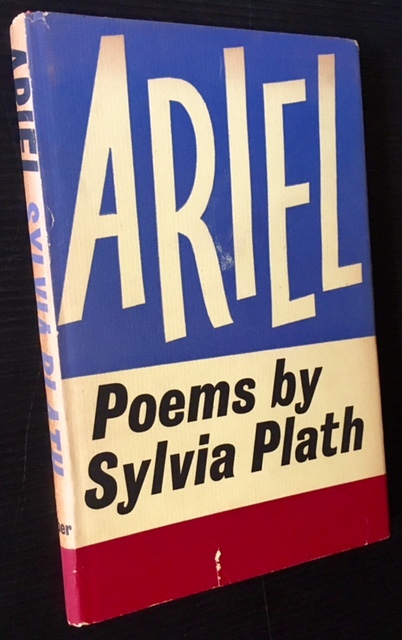 Armed with the Journals of Sylvia Plath, her Collected Poems, and of course a copy of The Bell Jar, I read selected passages in situ which helped contextualize the real places Plath wrote about in her works. This exercise illustrated how she may have made creative changes after recording them in her journal as she re-wrote them in poetry and prose. After this, we shuttled over to the grave of Otto Plath in Winthrop Cemetery and had an amble through the three separate yards before pausing for a good while at Plath's father's grave. This is always my favorite part of the tour because of how Plath reworked the experience of visiting the cemetery in her journals into other creative forms. I also find that everyone who visits these places reacts in quite similar ways but at the same time with complete uniqueness. 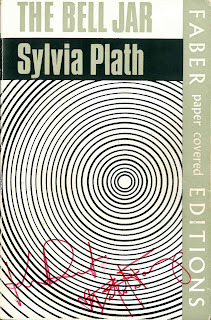 Like Plath wrote: "It is good to have the place in mind." "They always knew it was you." Dunst, Mr Sylvia Plath Info, and Fanning at Otto Plath's grave. The day was quite hot and so we left the open, bright expanse of Winthrop for the "motherly breath of the suburbs" in Wellesley. It was here where we had perhaps the highlight of the day: a in-house tour of 26 Elmwood Road. This was quite a moving and privileged experience. It was my second time in the house and I was able to observe more and gain a greater appreciation for its layout. 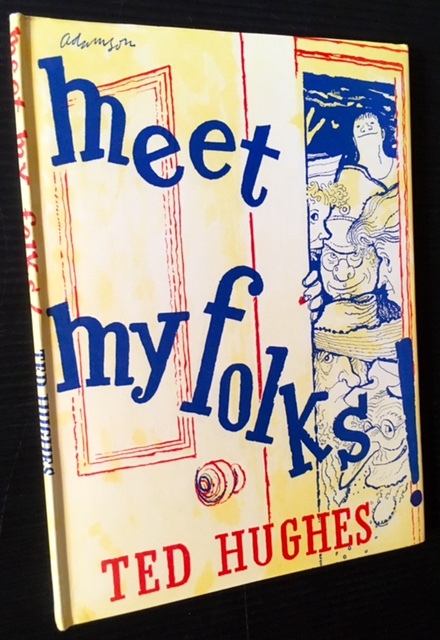 Being there, too, on a hot summer day was actually informative as it kind of gave an indication why Plath may have so enjoyed summer camps and other experiences away from the house once she was in college. Kahan, Fanning, Steinberg, Friedman, and Dunst. Following lunch, we drove to the tour's last stop: McLean Hospital. We drove around the "campus" and as we did this I pointed out which buildings where which as they appeared in The Bell Jar and what they are called in actuality: Belsize was Belknap; Caplan was Codman; and Wymark was Wyman. Then, sadly, I had to drop them back off at their hotel. It was an amazing day. The time went by quickly - a little too quickly as good times often do. But, also, I feel things were paced in such a way that it was not overwhelming. I was really happy that I did not make a complete fool out of myself, and also that I neither cut myself shaving that morning nor drooled or dripped salad dressing down my shirt. Phew! It is the little things... We had lots of great conversations and they asked fantastic questions - but please do not ask about that! 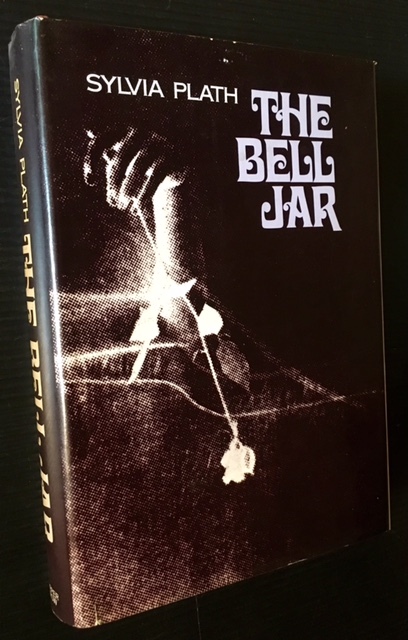 At their hotel, I admit I became a cheesy-fan and asked Kirsten and Dakota to sign the copy of The Bell Jar that I used for this tour. 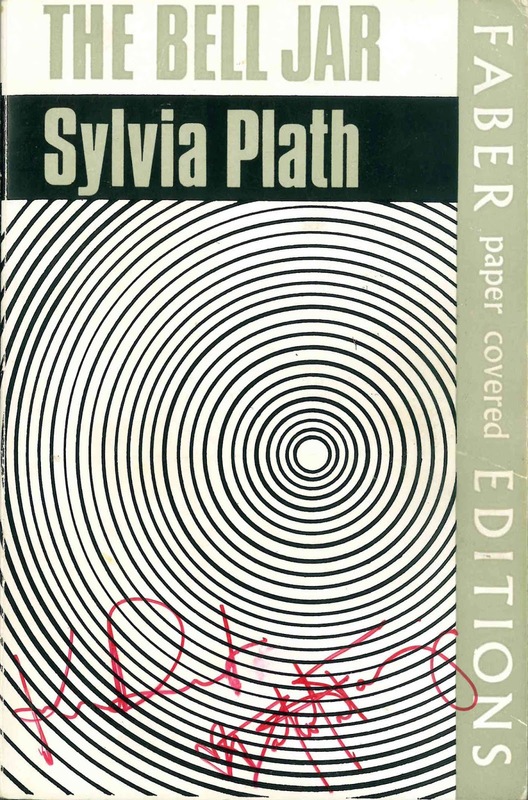 Sylvia Plath, The Bell Jar, Faber, 1967.